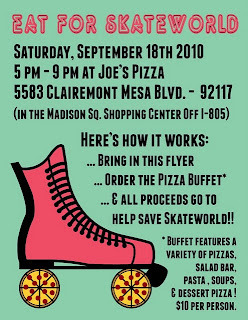 Keep Skating in San Diego - Save Skateworld! I grew up skating at the Palisade Gardens roller rink on University Ave. in North Park. Many Saturday afternoons were spent there and I developed a love for the sport of roller skating. When the rink closed its doors in 1985 it was a great loss to the community of North Park. I hadn't roller skated for a number of years, but picked it up again when I discovered women's flat-track roller derby! 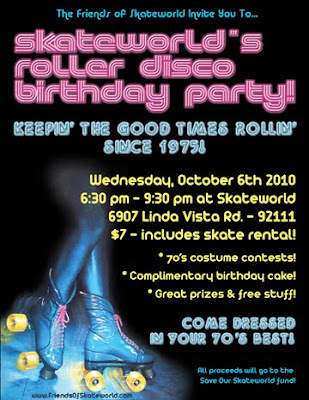 I skate with San Diego Roller Derby at Skateworld, our home rink. Now the rink needs your help. Skateworld, the last remaining roller rink in the city of San Diego, is in danger of losing its lease. 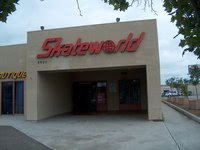 The San Diego Redevelopment Agency has an exclusive negotiation agreement with a private development company (MRW) for the property on which Skateworld is located. This company has indicated that they plan to redevelop the property and the future of Skateworld is uncertain. 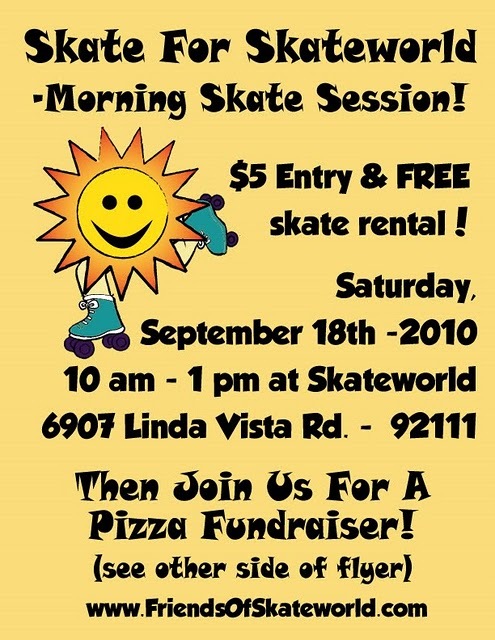 Skateworld has been an outstanding member of the Linda Vista community for nearly 35 years. This establishment attracts visitors from all over San Diego County and has made many positive contributions to the public. 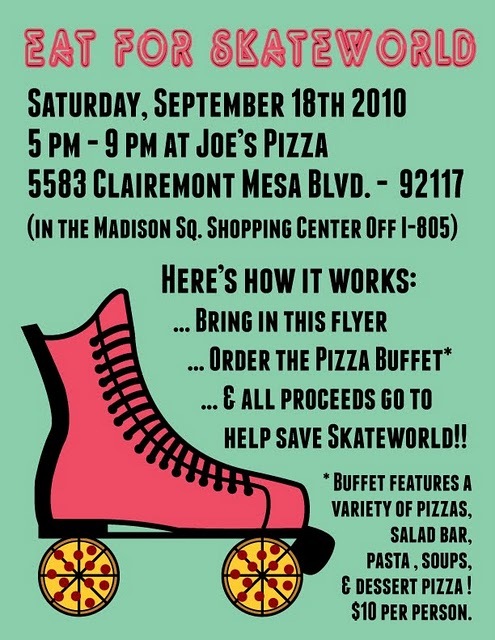 Skateworld hosts fundraisers for various causes, provides family-friendly activities, and employs many who would not find jobs elsewhere, such as teens with no previous work history. 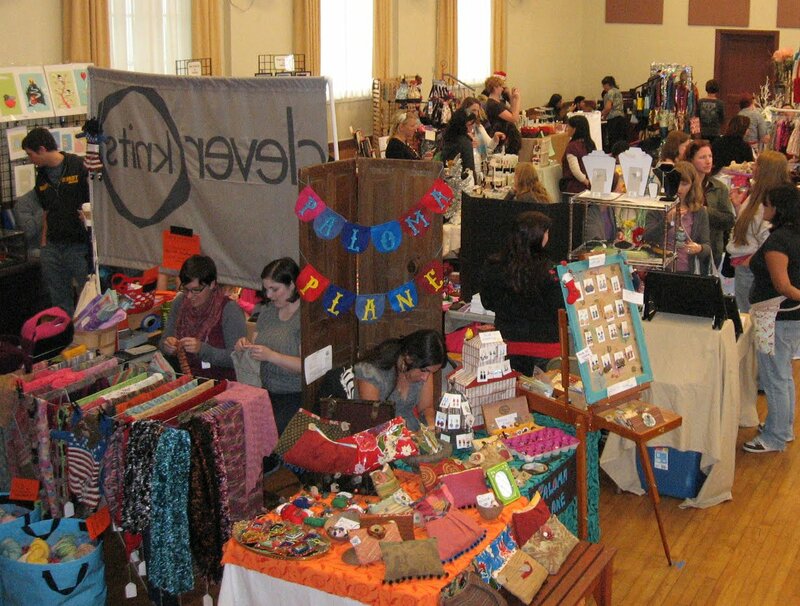 Businesses adjacent to the rink are also supported by Skateworld’s patrons. 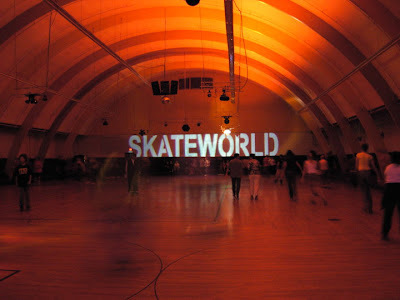 Many San Diegans, who remember skating there as children, now take their own families to Skateworld. Closing this rink would be a devastating loss for all of San Diego County. 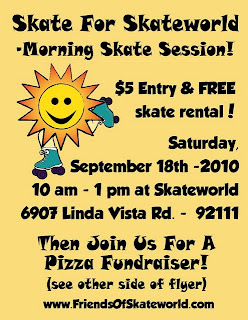 Please join all of us who love Skateworld by voicing your support of the rink to the San Diego City Council. The community of Linda Vista is represented by 6th District Council Member Donna Frye. Her phone number- 619-236-6616; email- donnafrye@sandiego.gov. Tell Ms. Frye that you do not want to see Skateworld leave Linda Vista! The rink won't be closing tomorrow, but it is in jeopardy if this deal with MRW is allowed to be approved without hearing any opposition. You can also send a letter to the ENTIRE city council with a single click! So simple! You can also show your support by signing our petition that will be presented to the City Council at a later date. There is no age limit – everyone is eligible to sign. You can sign the petition at Skateworld or sign the online petition! 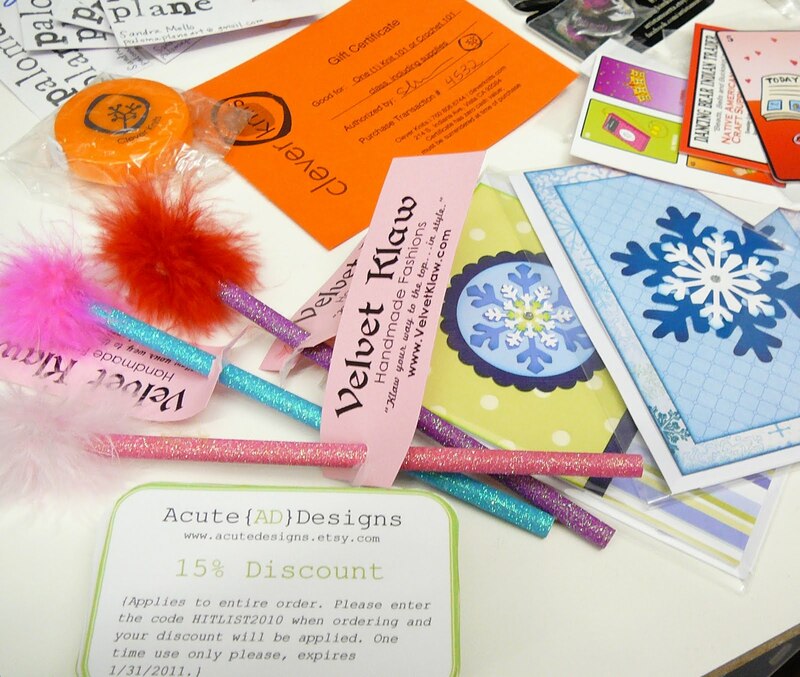 If you would like to help collect signatures, you can download a petition packet! All help is appreciated! Also, don't forget to join the "Friends of Skateworld Roller Rink" group on Facebook & read the new Friends of Skateworld Roller Rink blog! Thanks for your support!